Apple's iPad has revolutionized the computing landscape. The new iPad released in March sold more than three million units in its first three days on sale. This creates a huge, vibrant, and potentially lucrative market for developers. While many aspects of iPad development are common to iPhone development, there are other important issues which are specific to the iPad's format. This package is the complete, hands-on iPad programming tutorial for every developer who wants to get started developing apps for the iPad: both those who are familiar with iPhone programming, and those who are entirely new to Apple's iOS platform. 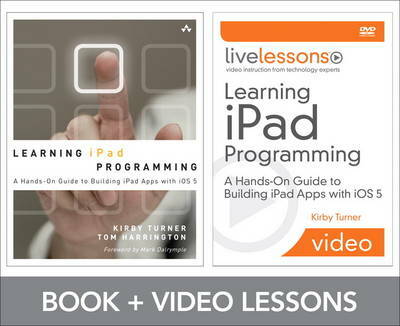 The authors teach iPad programming through a series of hands-on exercises, guiding readers through creating numerous applications that highlight the full spectrum of what is possible on the iPad. As they work, developers gain practical knowledge they can apply immediately in all facets of iPad development. The video reinforces graphically the lessons in the book, while the book extends and deepens the lessons on the video, making this the complete way to learn iPad application development.